If you don’t do Cavaniola’s, you don’t do cheese. The pungent aroma knocks you back the instant you step inside Cavaniola’s squat Sag Harbor cheese shop. On a warm spring Monday, there are a half-dozen massive rounds of curds stacked artfully on a waist-high wooden counter, and I’m sampling a goodly number of them. There’s an English Cheddar, pockmarked with mold; an aged deeply golden Gouda, redolent of butterscotch; and a Gruyère, so nutty and earthy, it tastes like it’s just been plucked from a cave in the Swiss Alps. Dressed in a blue oxford shirt and neat jeans, Michael Cavaniola, the shop’s compact, bearded 40-year-old proprietor, is standing behind the counter, knife in hand. He deftly pares a tiny slice from a dainty white round of goat cheese. With an intensity and seriousness of purpose usually reserved for affairs of state, he explains that it hales from Avignon in the South of France. “Taste it,” he says, flicking the piece of cheese from the edge of the knife into my outstretched hand. From outside the shop, I hear the sound of a saw and the clang of a hammer on brick. Cavaniola’s Gourmet is expanding. A wine shop will be opening in a few short weeks, housed in a small building adjacent to the cheese shop that once was used to garrison British soldiers during the Revolutionary War. Tucked nearly out of sight on Division Street, next to an establishment peddling phone cards, and across from a beer and soda store, Cavaniola’s has become in five short years a bit of a local foodie institution. Sure, there are the roughly 200 handpicked cheeses, many made from raw cow’s, sheep’s or goat’s milk, all of them personally scrutinized, tasted and chosen by proprietors Michael and his wife, 30-year-old Tracey. But there’s also the couple’s determination to reimagine what it means to be a mom-and-pop store in the 21st century. It’s become the kind of place where neighbors chew the fat with one another and with the Cavaniolas, watch the couple’s two sons grow up—and, not incidentally, are ushered into a neighborly club whose members are schooled in the finer points of the best cheeses and a carefully edited selection of specialty foods. “It’s a destination,” agrees 40-year old Michael, a former architect and son of two New Jersey cheesemongers, of the cult of cheese that’s emerged on Division Street. It’s not so much that he’s bragging. He’s a perfectionist who doesn’t suffer fools lightly and doesn’t rest on his laurels. Compare his shop to Fairway Market in New York or the cheese section at the new Bowery Whole Foods and he’ll bite his tongue. Yes, he has been to other cheese stores. But he knows his is the best. Clearly, this isn’t just a business for the two shop owners. The couple is determined to introduce East Enders to the finest artisanal cheeses—whether they’re created as close by as Bridgehampton or as far away as the Spanish Pyrenees. They also have embarked on a mission to broaden their customers’ palates so that purchasers venture beyond a familiar cheddar or a comfortable Camembert. “Customers come in here and say ‘give me something I’ve never had before,’ and we’re able to do that,” says Michael, who encourages purchasers to taste a cheese before buying it, and in fact will supply anyone waiting in line with samples. Thus, are the shop’s legions of devoted cheese lovers cultivated and nurtured. “We sample everyone in the store,” he explains, the words spilling out rapidly, like fizz from a shaken soda can. “If you’re tasting, then the two people in line behind you are tasting, too.” That even includes those whose preferences might run to beer rather than Chablis, says Michael. A chunk of Stilton is a favorite among some local construction workers, he says. That their customers’ ardor for handcrafted curds has spurred a devoted following is apparent, even on a slow weekday morning. There are two high school students from the nearby Ross School who order ham, apple and brie panini. “I love the goat cheese and the variety” of cheeses, says 18-year-old Tara as she thumbs through the Cavaniola’s small library of cheese books. Then there’s Kathy Mulcahy, a 49-year-old Sag Harbor resident, who says she makes sure to stop into Cavaniola’s “at least once a week” for her fix. “I love their Gorgonzola Cremificato,” she says, smacking her lips, a look of pure pleasure spreading across her face. “It’s soft and gooey,” she purrs, insisting that she and her family “starved” before the Cavaniola’s opened their emporium, with its weathered wood flooring, stylish shelving containing beautifully packaged jams, oils and other condiments, and its fireplace for spreading warmth on cold winter days. Then there are celebrities like Bernstein of Watergate fame, and stars of the cheese world, like Rob Kaufelt, proprietor of the legendary Murray’s Cheese in New York. “Michael has a wonderful shop out there in Sag Harbor,” says Kaufelt, who rented a home in East Hampton last summer. Even area artists have been known to frequent the place, sometimes bartering their artwork for chunks of cheese. All in the family. 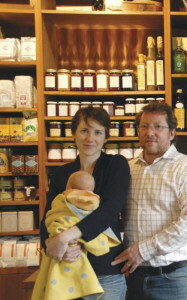 Tracey and Michael Cavaniola with newborn Spencer in their shop that has become a gustatory mecca. With its rustic tasteful decor, fashioned by former designer Tracey, the store communicates its mom-and-pop ambience. 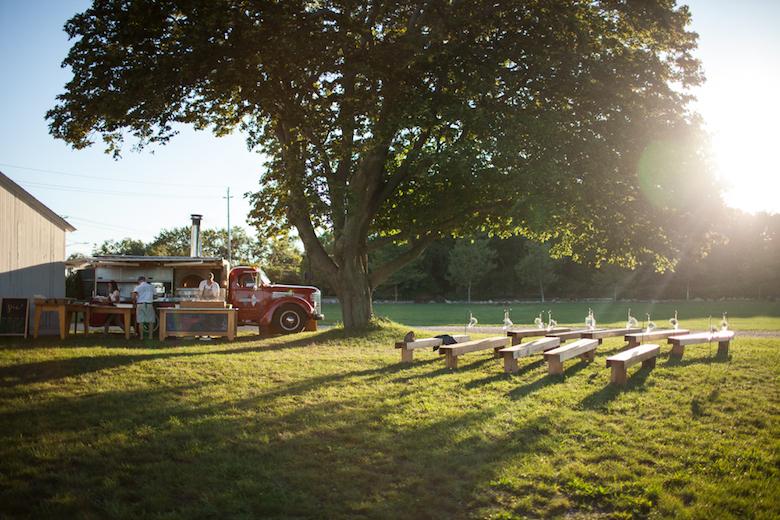 In fact, Michael sees himself as part of a burgeoning movement of sophisticated local 30-something small shop owners—like former Per Se chefs, Ann Redding and Matthew Danzer, who recently opened Reddings Fine Foods on Shelter Island. The old family-run shops “went away for a generation but now the younger generation is starting them again,” says Michael. And what are the defining elements of this new-old concept? 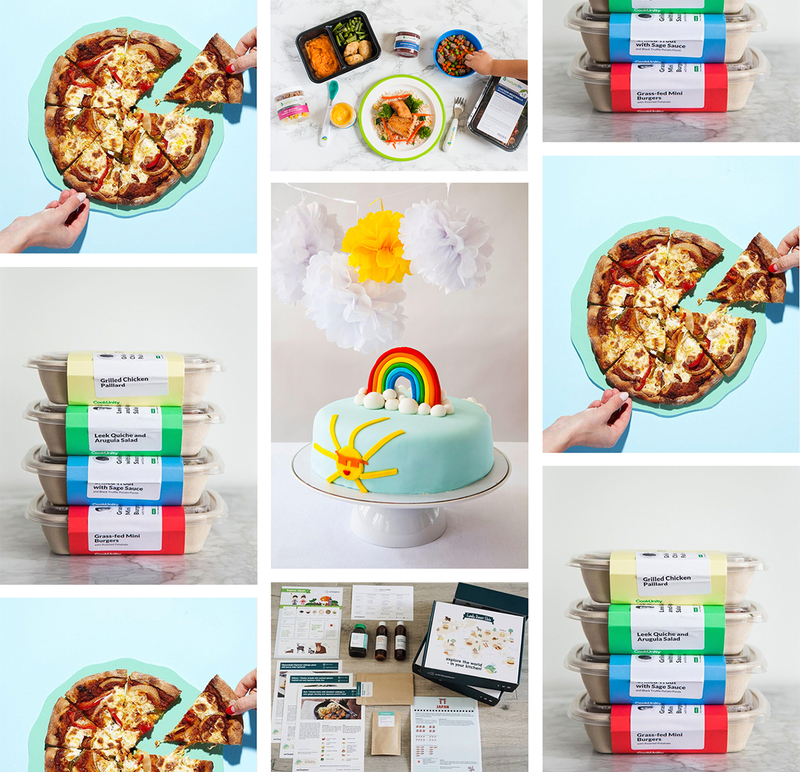 For one, there’s the ability to stock up on just about any item—from cheese to oils, to coffee, to dessert. For another, there’s the desire to foster an ongoing relationship with customers. That’s where the unusually low cheese counter enters in. It’s an oddity in an industry where shoulder-high glass and stainless steel cases are the norm. The lower counter “allows more interaction with the customers,” says Michael. “Sometimes cheese is like wine, and customers are a little intimidated.” Instead, the counter, which offers a clear view of cheeses stored in a refrigeration case along the back wall and of a chalkboard listing the shop’s constantly rotating offerings, creates a “dialogue” with purchasers. Nor does the shop label its cheeses or employ the flowery prose favored by so many cheesemongers that’s often designed to evoke, say, a Swiss meadow ablaze in wildflowers and dotted with contented brown cows. Then, there’s the way in which the store’s customers have been invited to partake—if only during brief interludes while they shop at the store—in the Cavaniola’s family life. On a sunny weekday morning, auburn-haired Tracey can be found seated at a small square wooden table by the window, quietly nursing newborn Spencer. Three-year-old Vincent has logged so much time at the 550-square-foot shop—first in a fruit-basket-turned-cradle, then in a playpen smack in the middle of the floor—that he’s become a bit of a town pet. Because the Cavaniolas try to sell what’s in season (in spring, for example, goat’s milk is richest and the cheeses are at their peak), they don’t necessarily favor local offerings over imported ones. 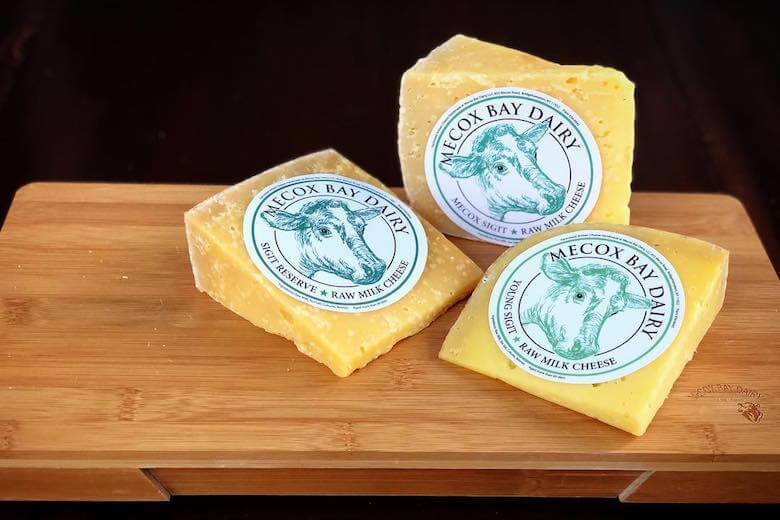 Though the store stocks goat cheese from Catapano Dairy Farm in Peconic and farmstead creations from Mecox Bay Dairy in Bridgehampton, Michael says he’s in the business of furnishing the highest-quality products, regardless of their origin. Then, there’s the fun of discovering hidden treasures during the Cavaniolas’ cheese-scouting trips to faraway locales like the Spanish and French Pyrenees, where a hand-painted sign pointed down a country road—and to a prized batch of homemade goat’s cheese. It wasn’t that long ago that cheese to most Americans meant orange processed slices or maybe a hunk of Jarlsberg. By the 1980s, however, French Brie and a limited number of other imported specialty cheeses were starting to be embraced by sophisticated diners. 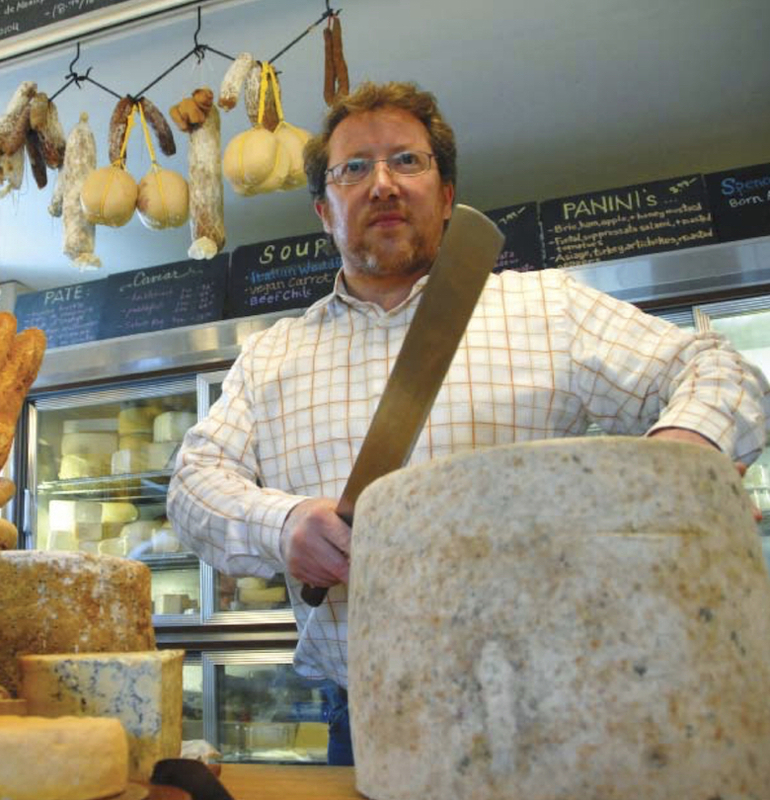 In the 1990s, pioneering cheesemongers, like Kaufelt and Steve Jenkins at Fairway, were importing a growing variety of European cheeses. Soon young American cheesemakers from Vermont to California were opening creameries and crafting domestic varieties that began to rival some of the finest France and Italy had to offer. Today, U.S. cheese production, excluding cottage cheese, totals 9.67 billion pounds, according to industry and government statistics. 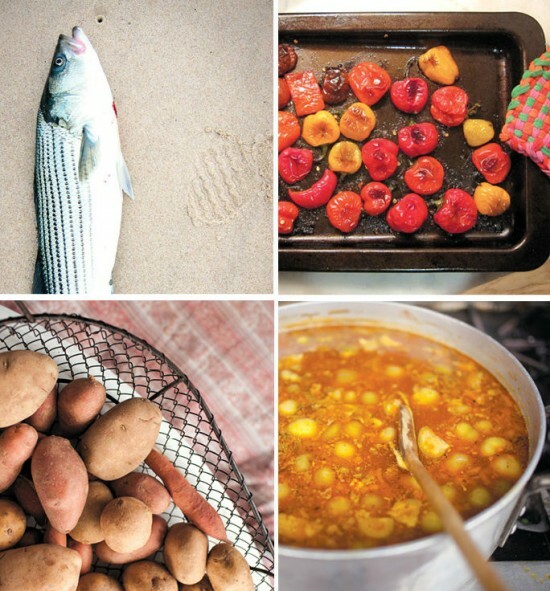 In 2006, each American consumed 32.5 pounds of the food, a 3.2 percent increase from a year earlier. In New York State, 700 million pounds of cheese were produced in 2006. But, though Hudson River Valley cheesemaking flourishes, the North Fork has seen—with the notable exception of Catapano and Mecox Dairy—far less activity. Why hasn’t artisanal cheesemaking taken root more firmly on the East End? Says Joseph M. Gergela, executive director of the Long Island Farm Bureau, there’s little cheese being produced because the area’s dairies have virtually disappeared. While in 1975, according to data provided by the Cornell Extension Service, there were eight working dairy farms, producing 3.5 million quarts of milk, today there are no large-scale producers remaining in the area. Running a cheese store in Fort Lee, NJ, during the 1970s and 80s, Michael’s parents sold cheddar and other familiar cheese products. After years of being drafted to toil at the shop after school and during holidays, Michael couldn’t get away from the cheese business fast enough. “When I was five, I remember handing out numbers at the door and carrying groceries to peoples’ cars,” he says. Choosing architecture as his profession, he worked on large corporate projects in New York for 15 years. During one such assignment, he met Tracey. She was selecting the finishes, fabric and furniture for the interiors. Michael was charged with approving her choices. “I approved of her, too,” he says, smiling. The two were wed in 2002, and it wasn’t long before they decided to seek a quieter community in which to raise a family. The Cavaniolas owned a weekend home in Sag Harbor, but Michael says it was tough finding nearby wine and fine cheeses to take to the beach. The solution? Open the type of store they wished they could shop in. Revitalizing what was a former children’s art studio and transforming it into a cheese shop was dismissed by some as a foolhardy venture destined to fail. Still, Tracey and Michael were determined. Up all night stocking the shelves before opening day, they wondered if one of the many naysayers might be proven correct. “When we opened, it was disheartening,” says Michael. “Everyone said, ‘You’re going to sell cheese? I hope you make it. No one makes it in that place.’ Now, I only see us growing.” Michael looks forward to stocking new delicacies like Ibérico ham and perhaps even more exotic fare like various types of game. But while growth is good, clearly too much expansion isn’t what the Cavaniolas are aiming for. Sells its own goat cheese and bath and body products made from goat’s milk. Specializes in domestic, handcrafted cheeses. Sells its raw milk product online; also available at many area specialty stores. Offers a wide selection of domestic and imported cheeses. Also serves sandwiches, fondue and cheese plates.